Challenge: The Twin Otter boasts unrivaled versatility for executive and private travel, to commercial operations in some of the most challenging conditions on earth. 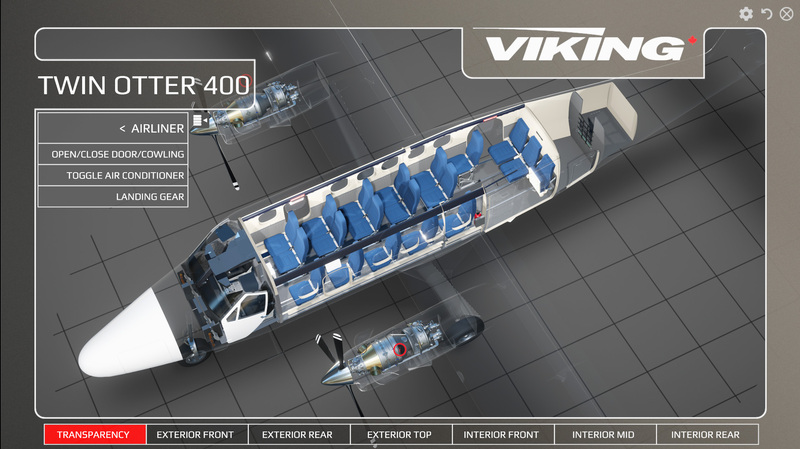 It’s fuselage, convertible cabin and available configurations make it challenging to present its various configurations and functionality effectively. In addition, depending on the industry and customer applications the story needed to be customizable and flexible. 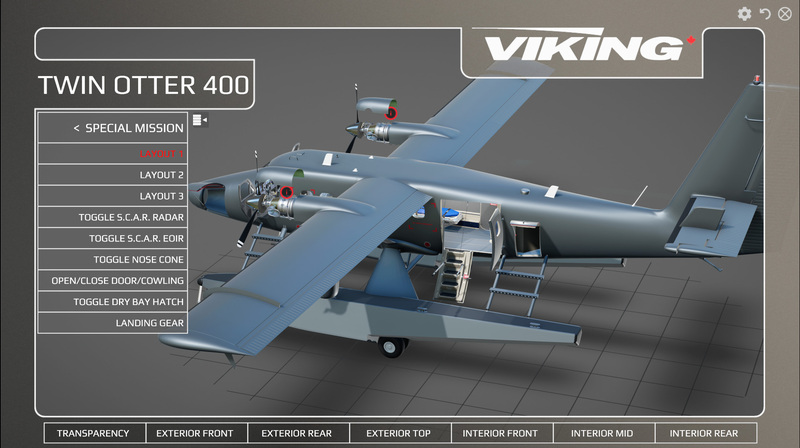 Solution: Propulsion developed VR and 3D real time interactive applications that gave the Viking Twin Otter Sales and Marketing team configurable/interactive visualization tools that are used at both trade show environments and one-on-one customer sales interactions. Playable on most all operating platforms. 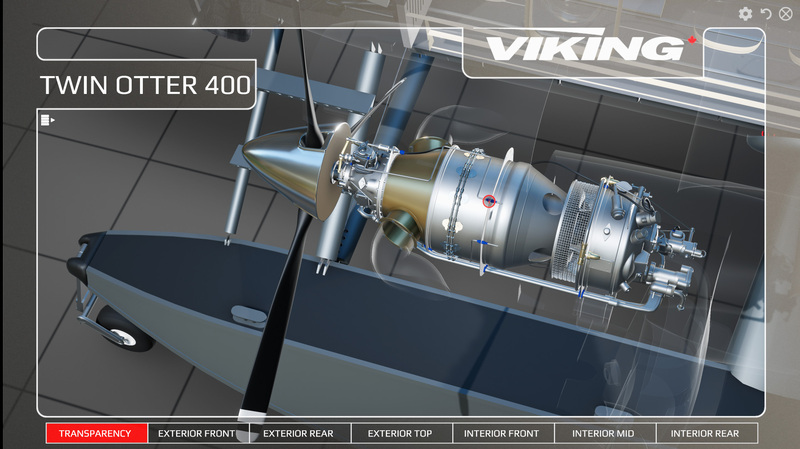 Result: The ability to show features and configuration alternatives in real time has proven to be significantly impactful with customers and helpful to the sales people when telling the Twin Otter story. 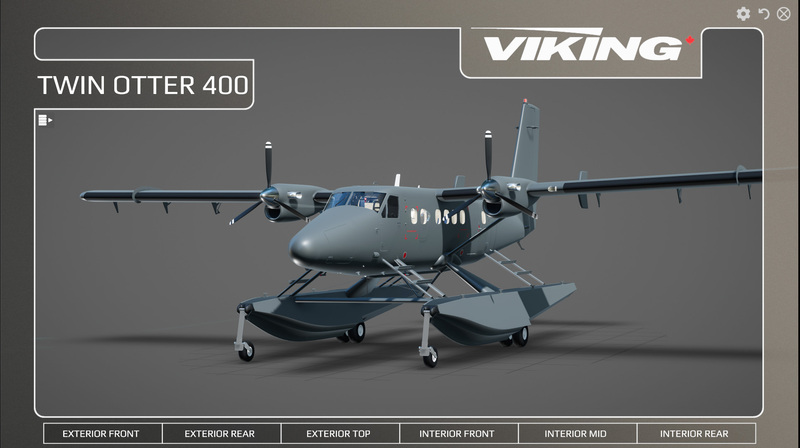 Since there are so many sub markets for the Twin Otter, allowing the sales people with the ability to flip back and forth and visually illustrate its features interactively is much more effective than presenting several different brochures or static images.